Picturesque and pleasing, weird and wacky, Wellington is buzzing with an energy of creativity and youth. In the mornings, hipster design students can be found walking to the Victoria University campus with Apple laptops and portfolios in tow, as Wellingtonians head to work and tourists wander to brunch and the vintage shops along Cuba Street. So true. I can't describe exactly how I felt in Wellington, but I guess the best way to sum it up is "alive!" And yet there’s a relaxed vibe happening in the midst of the hustle and bustle. Joe, who is a notoriously slow walker, noticed that he actually felt like he could take his time exploring the city and that people weren’t dodging and hurrying past him. And take our time, we did. We perused vintage shops, second-hand stores, galleries and boutiques, and enjoyed long late lunches. Wellington, and particularly Cuba Street, is just so full of color, typography and design, that I must dedicate a post solely to these things in an effort to do them any justice. Here are just a few of my favorite shops, creative spaces and bits of architecture around Wellington. KAHLO in Giclee ink on German Etching, by Wellington artist Dimitri Howard. It reads, "I paint flowers so they will not die." In high school, my fine arts teacher, Mrs. Rich, assigned me to do an extensive research project on Frida Kahlo, and from there my appreciation (and mild obsession) flourished. I have yet to make a pilgrimage to La Casa Azul, her home in Mexico, but it's on my bucket list. So when I saw Frida hanging there in the gallery with her sultry eyes saying, "take me home," I just had to give in. Still not sure how I'm going to eventually get her back to the states or even going to display her in my apartment that won't allow holes in the walls, but I have no regrets! I'm a very thoughtful and frugal shopper. I see something I like, I let it simmer for a day, and if I'm still thinking about it later, I know I'll regret it if I don't just go for it. What's in the cardboard? I took the plunge and splurged on a print of Frida Kahlo. Anyway, even if you're not a Frida lover, Matchbox is a great place to find funky little details for your home and wardrobe, as well as local prints and designs to remember your time in Wellington. It was the name that drew me into the store. I hear "Iko Iko" and I think of home and Mardi Gras! Iko Iko is filled with pretty things for the home, funky glassware for the kitchen, cool design books, and quirky gifts. As usual, I'm met with the dilemma of, "Oh I want it so bad, but how will I get it home?" They've also got a unique collection of what they call Kiwiana, that make for interesting and unconventional souvenirs, way cooler than your average airport gift shop! Be sure to pop your head into Iko Iko when you're on Cuba Street. It's pretty hard to miss... just look for the candy-colored 1902 building. 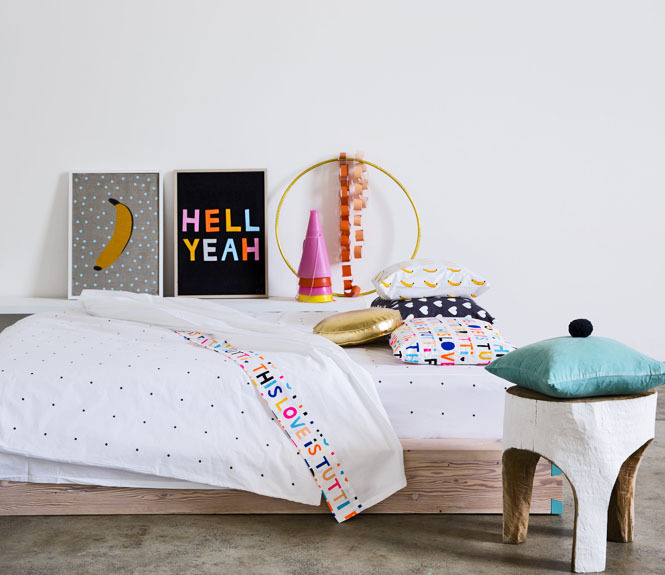 Small Acorns is a modern and contemporary homeware and design store filled with fun fabrics, eclectic accessories and gorgeous goodies from around the globe. From the moment you walk in the door, there is a consistent playful, whimsical, and feminine style running throughout the shop. Love the look? You can hire them for interior design services as well! So much color and texture! I want this funky blue velvet couch in my living room. For a bit more of a masculine touch, head across the street to Brown & Co. The navy blue walls and gun metal floors house a collection of mid-century finds among some down-right bizarre collectibles. This place has everything from floor-to-ceiling taxidermy, glass domes filled with teeth and locks of hair, model boats and ships, to vintage science equipment. Joe was just loving it! If you're looking to furnish a man cave, or even just trying to find a happy medium and need to add some masculinity to a room your husband thinks is too girly, check out Brown & Co. These people pride themselves on craftsmanship, and boy, do they make some beautiful boots. In fact, they are one of only two manufacturers in the world still able to produce footwear using a rare 1900s machinery. Can you say perfect Christmas present? If you're into DYI, crafting and textiles, then this bookstore is heaven. Minerva is stocked with a variety of books and magazines from around the world. There are so many shops and restaurants competing for attention along Cuba street. The end result is a smorgasbord of typography and color. Most shops had me wanting to go inside even before I had a chance to look in the window. Beautiful architecture around the city. This Easter, Kiwis can take part in The Whittaker’s Big Egg Hunt, which invites the public to find 100 giant eggs created by New Zealand artists and designers, all in support of Starship Foundation, a charity for the national children’s hospital. We spotted dozens of these beautiful and intricately painted eggs all around the city. I love when cities do these. I remember when New Orleans had big painted fish. It's always fun to find a beautiful work of art in a random place when you're not expecting it! Ornately carved and decorated "marae," a traditional Maori meeting space found in the Te Papa museum in Wellington.